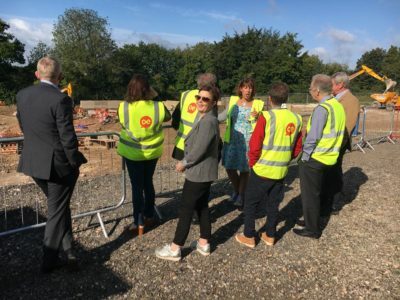 Less than a year after breaking ground here we are with MP John Glen fitting the last roof slate in a Topping Out Ceremony on this innovative new development. Thank you Salisbury Journal, Thats TV Salisbury and Spire FM for the coverage. 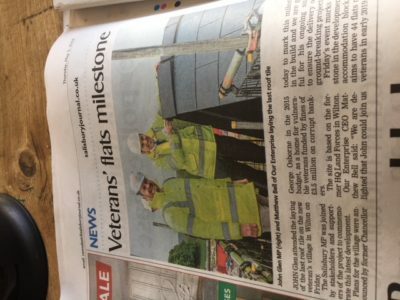 In addition to 44 flats for veterans, the development will feature an Enterprise Hub, coffee shop, community space. Mens Shed and Kitchen Garden. The development is on track to be completed by the end of the year.